For the brand review, we ran a huge survey (2,500 of you took part) and held many workshops and drop-ins, which means that 10% of the membership got involved in the process. Hundreds of us attended the successful Ted’s Talks in January to discuss branding and our brand review. Those of us who attended will remember a brand is the first impression and also shapes how people feel about an organisation. Brands inform the process of how people connect to an organisation. As a result of the consultation, we came to the decision that we were not in a good place and needed a stronger, consistent and more empowering brand. We presented three brand concepts to Union Council who unanimously picked the Union Southampton (‘Us.’) brand just before Easter. So what’s our new brand? We are run by students for students. That’s what makes Union Southampton so special – it’s all about us. Together. Our strapline, “together” is how we remind our members that we are united. There is no us and them, there is only us. We are only as strong as our 24,000 members make us. Our new trading name will be Union Southampton but our registered name will remain as The University of Southampton Students’ Union. 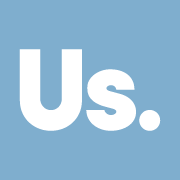 “Us.” is our logo, our mark – not a name. « Vent About Your Rent: Win 1 month’s rent!